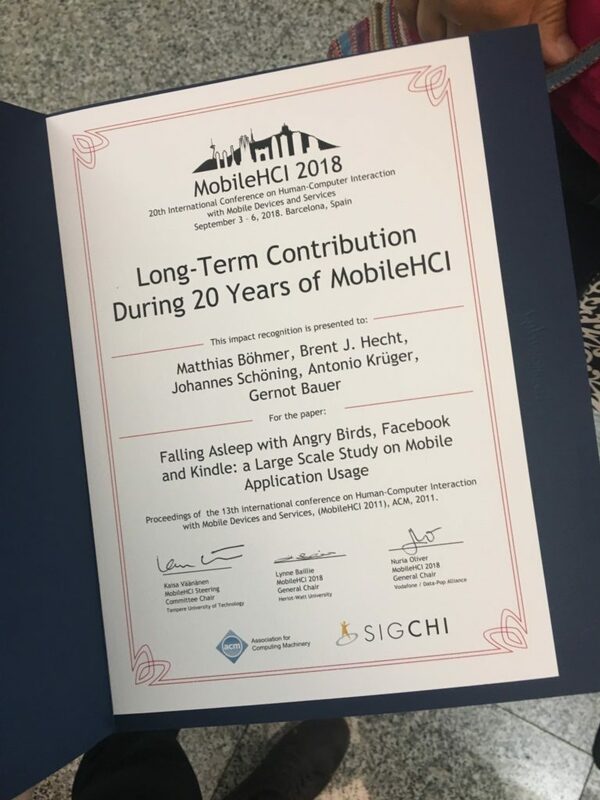 Our MobileHCI’11 paper has been awarded as the most cited MobileHCI paper in the conference’s 20 years’ history at MobileHCI’18! We are super happy about that! Work was done together with Brent Hecht, Johannes Schöning, Antonio Krüger and Gernot Bauer. On Google Scholar the paper is currently counting more than 500 citations. 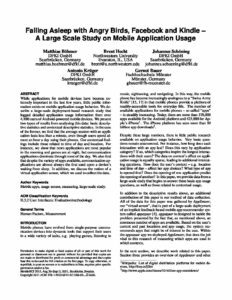 We have recently started continuing our research on app usage by looking into mobile information supply (see our upcoming NordiCHI paper).